Graffiti Lessons for Teen Girls Helps Empower a New Generation of Artists #MakerEducation « Adafruit Industries – Makers, hackers, artists, designers and engineers! MyModernMet highlights the the awesome work being done by Graffiti Camp for Girls. One artist is making concrete strides in breaking up the boys club that exists in the art world—specifically graffiti art. Nina Wright, who works under the name Girl Mobb, grew up in rural Ohio, where she started out painting barns, but it wasn’t until she moved to Oakland, California that she found her place among other graffiti artists. Still, she was the only woman in her crew. 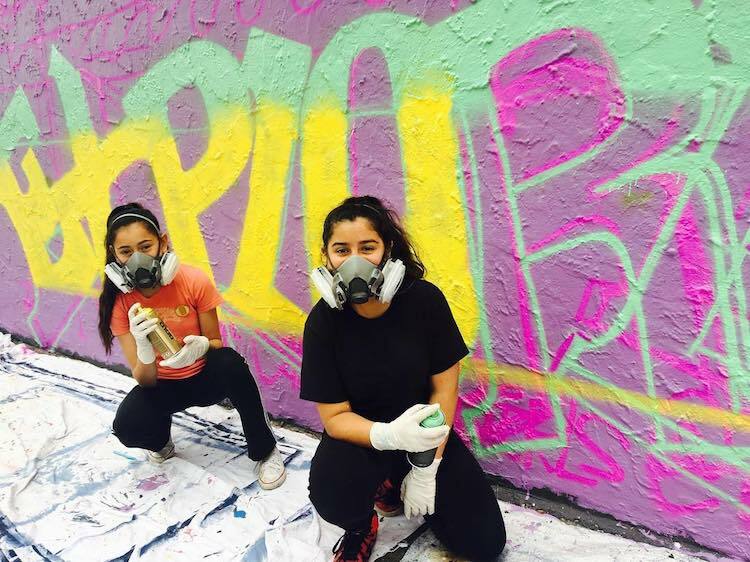 After receiving an invitation for yet another all-female art exhibition, Girl Mobb was inspired to take matters into her own hands and mentor young girls looking to get into the graffiti game. And that’s when Graffiti Camp for Girls was born. Noticing that there were several workshops that taught interested artists how to use aerosol paint, but nothing specifically for girls, Girl Mobb started her classes in April thanks to a Southern Exposure Grant.